Black tea is the worlds most popular tea. Only black tea is oxidized 100% through a process of crushing the leaves and exposing them to warm moist air for a specified time. This process gives the teas a dark color and a characteristic, more mellow flavor than green teas. Most black teas mix well with milk and/or sugar. Our Blended Black Teas have been designed to allow both the natural flavor of the tea as well as the blending agent to surface. This delicate harmony results in an appealing beverage that will satisfy the most discerning palate. Black teas can be enjoyed throughout the day. Most are excellent served chilled as well as hot. This is one of Indonesia’s best teas. Agung Black is medium in body, has virtually no astringency and a slightly spicy character. This tea is very universal; it mixes well with just about anything while it is still excellent on its own. A robust, malty leaf grade tea from northeast India. Assam is great for a morning pick-me-up with its heavy, thick character. It goes well with milk and sugar. From the UVA highlands of Sri Lanka, this Orange Pekoe grade tea is light and mellow with low astringency, an easily enjoyable tea. One of the worlds most popular and most expensive teas, Darjeeling is lighter than most black teas. 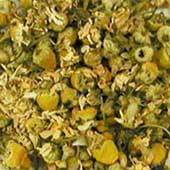 This tea has with a unique fruity flavor and is favored for a traditional light afternoon tea. Lapsang Souchong is a smooth Chinese black tea that has been dried over a pine fire to infuse it with a very distinct smoky flavor and aroma. We believe this tea has a uniqueness that will grow on you. This is a Puerh tea known for centuries to have many curative properties, including curing a hangover and lowering cholesterol. An earthy flavor is characteristic of Puerhs in general and we have chosen this particular one for its smooth, sweet flavor aftertaste. Cinnamon and Orange Peel exist in harmony with a fine black tea as a base. An invigorating blend allowing all flavors to come through without overpowering one another. A blend of fine black tea and fruity Rhubarb bits create a dreamy, fruity flavor. This brew has a refreshing flavor that goes well with many snack foods. Our Earl Grey is a full bodied black tea blend scented with oil of bergamot for a unique citrus flavor. This enjoyable citrus flavor has proven to be the most popular blended black tea in the world. A world renowned tea, English Breakfast is a bright, full bodied tea with a strong flavor that goes well with milk and sugar. A British necessity and a great brew with which to welcome a new day. The following products use 100% locally sourced ingredients and are carefully blended to create unique and enjoyable infusions. A premium black tea has been carefully blended with pure cinnamon pieces to create this smooth tea that boasts a touch of natural sweetness and a clean aftertaste. The sweet, sharp flavor of the cinnamon and the tea prove to create a very enjoyable tea. For our take on this popular blend, we have used pure, dried ginger pieces, as opposed to natural or chemical extracts, to infuse our black tea with nothing but real ginger flavor. The purity shines through creating a subtle, yet distinctly sharp, spicy ginger flavor that is balanced with the smoothness of the premium black tea base. This blend came about accidentally, but we immediately fell in love with the mix of flavors. The medium body of the black tea is given a tangy lemon flavor that refreshes and cleanses the palate. A good Chai should have a smooth blend of spices and herbs that do not overpower one another. Of course, using a quality tea as a base will also affect the final flavor. We have created Dharma’s Original Chai with these points in mind. Dharma’s Original Chai is a blend of fine black tea, ginger, cinnamon, cardamom, vanilla and a hint of clove – all locally sourced. This blend is intended to be served with milk and either honey or sugar. Oolong Tea is the second most oxidized tea - between 20 to 80% depending on the tea desired. The partial oxidation gives Oolong Tea a lighter color than black teas. Oolong as well as Green Tea are the teas of choice in China, the birthplace of these teas and where their processing has been refined over thousands of years. This is a lightly oxidised oolong with fruity notes. The quality of this tea is proof that Indonesia can produce top quality teas. Through careful cultivation and processing, this tea has a very distinctive character found normally only in Formosa Oolongs. White tea is the least processed of all the teas. 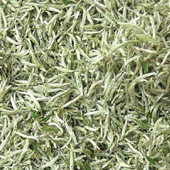 Like the terms “Black Tea” and “Green Tea”, White tea refers more to the color of the dry leaf and the processing method than to the color of the infusion. White tea is generally comprised of the very best tea leaves, the most extreme buds. 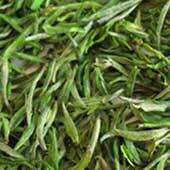 The young leaves are simply steamed then dried while no oxidizing, rolling or firing occurs like most other teas. This tea is considered one of China’s top 10 teas. 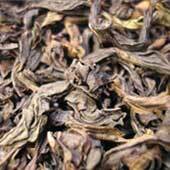 Cultivated in the Fujian Province, Paimu Tan is entirely hand made and is carefully steamed and dried. The quality can be seen in the dry and wet leaf by the amount of downy fur on the leaves. Naturally, the smooth flavor will also prove the quality of this increasingly popular tea. Green Tea is the general classification for tea that is either minimally oxidized or not oxidized at all. Green Tea is generally more vegetal or earthy in flavor and is lighter and cleaner than most other teas. China is the main producer of Green Teas with a selection in the hundreds while Japan only produces only Green Tea but with less variety. Like our Blended Black Teas, our Blended Green Teas have been carefully blended to create a well balanced tea with all the ingredients complimenting rather than overpowering each other as is the case in lower quality teas. Green teas are a great way to relax and revitalize while enjoying the health giving benefits found in every cup. One of the finest, most unique green teas we have found in Indonesia to date. This tea is produced with the large yet young top three leaves and is carefully processed to ensure the leaves are kept intact. The infusion has a heavy body but a light refined, floral aroma. We are sure Golden Leaf will become a favorite with all those who try it. Some spices and teas were made for each other. It just so happens that our locally-produced green tea is a perfect complement to the unique flavor of locally-grown cardamom. The menthol flavor of the cardamom creates a cooling sensation and helps the green tea cleanse the palate. Dharma Teas produces our own dried ginger for our infusions but by a high demand from our clients, we have also started selling pure dried ginger. The benefit of this form is that you can brew a cup with the simplicity of brewing tea and obtain the same strength every time – not so easy to do when using the fresh rhizome. Another character of dried ginger is that it is actually stronger yet more mellow in flavor than fresh ginger. Another bonus is that we test our products to ensure there are no harmful contaminants. Our Lemongrass is produced in-house to our high standards of hygiene. We source our lemongrass from local Balinese farmers and cut and dry it ourselves to ensure it is produced to our strict guidelines. The strength of the brew is testament to the quality standards we set. Brewed on its own, our Lemongrass creates a light yellow infusion and a bright lemony flavor that is thirst quenching. Lemongrass is also a great base for mixing with other ingredients to create new and unique beverages. Essentially a “Green Earl Grey,” this is a Sencha green tea with Bergamot and rose flowers .This blend boasts a heavenly, citrus flavor and a light, clean cup with a refreshing aftertaste. This is a careful blend of an Assam green tea with dried Mango and Sunflower Petals. A natural sweetness comes from the Mango to create an enjoyable cup. Jasmine was first used to scent tea in the fifth century. 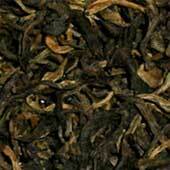 Our Jasmine has a clean, well balanced flavor and uses a fine Chinese green tea as a base. Jasmine is known as a relaxant, both reducing high blood pressure and relieving anxiety. It is a good tea to use to wind down after a long day. Our Moroccan Mint is a traditional "Gunpowder" green tea carefully balanced with Spearmint leaves. This tea will share the benefits of the other green teas but with the addition of Spearmint, it also provides benefit to both stomach ailments as well as respiratory problems. Naturally sweet from the spearmint, Moroccan Mint is excellent in combating the onslaught of a cold. We have created several uniquely Balinese Green Tea blends using 100% locally sourced spices. These products are both refreshing and are guaranteed to be strong sellers when promoted as Indonesian products. Some spices and teas were made for each other.It just so happens that our locally-produced green tea is a perfect complement to the unique flavor of locally-grown cardamom.The menthol flavor of the cardamom creates a cooling sensation and helps the green tea cleanse the palate. While most people create ginger tea using a black tea as the base, we decided to try a green tea / ginger mix. As luck would have it, the two blend well to create a sharp, spicy flavor yet with a smooth, vegetal body. This is a blend that seemed to naturally invent itself. We combined our premium green tea with lemongrass and a hint of ginger to create a fascinating spicy, lemony character. Try this as an iced tea for a real treat! One of the most expensive spices, vanilla is undeniably one of the world’s most popular flavors. Rather than using processed vanilla extract, we opted to use cut and dried vanilla bean in our blend – nothing but the best. The original result was incredibly smooth but lacking pizzazz, so we added a little ginger to spice it up. Although almost undetectable, the ginger makes all the difference. Herbal Teas do not contain Camellia sinensis so they contain no caffeine (except Mate products). Herbals are a mixture of various leaves, flowers, fruits or other plant parts that are carefully mixed to create a unique and enjoyable flavor. Due to their natural ingredients, they contain a wealth of health benefits and can be enjoyed by all ages. Most Herbals also make excellent, refreshing iced teas that can be a unique addition to any menu. After Dark provides relief for stomach ailments such as ulcers and indigestion through the combined effort of Spearmint, Chamomile, and Lemongrass. A light and soothing tea to enjoy, it will also help clear chest colds and sore throats. After Dark is an easily enjoyable infusion with a bright, clean flavor. With a smooth, apple-like flavor and a natural calming effect, it is little wonder that Chamomile is the most popular herbal tea in the world. Perhaps not so well known is Chamomile's ability to relieve the symptoms of the following: gingivitis, anxiety, canker sores, diarrhea, indigestion and heartburn, insomnia, peptic ulcers, skin irritations and is believed to help treat malaria. But perhaps it is best to just relax and enjoy the smooth character of this herbal infusion. Naturally sweet with a smooth berry flavor, Fruit Paradise is loaded with vitamins. Hibiscus and Rosehips, both with high doses of vitamin C levels, combine with other natural ingredients to create a vitamin and mineral packed infusion that is as healthy as it is enjoyable. This tea is great as an overall boost for the immune system and to replace the vitamins and minerals lost through perspiration. Dharma Teas produces our own dried ginger for our infusions. Over time, several of our clients have discovered that we have this on hand and have started ordering our pure Ginger. The benefit of this form is that you can brew a cup with the simplicity of brew tea and obtain the same strength every time – not so easy to do when using the fresh rhizome. Another character of dried ginger is that it is actually stronger yet more mellow in flavor than fresh ginger. Another bonus is that we also have our product tested in the lab to ensure there are no harmful molds or funguses. Herbal Energizer is a great detoxifying elixir that cleanses not only the palate but also various systems in the body. Dominated but not overwhelmed by anise, this infusion has a natural sweetness while also offering cleansing and protecting benefits for your stomach. Our Lemongrass is produced in-house to our high standards of hygine. We source our lemongrass from local Balinese farmers and cut and dry it ourselves to ensure it is produced to our strict guidelines. The strength of the brew is testament to the quality standards we set. Brewed on its own, our Lemongrass creates a light yellow infusion and a bright, lemony flavor that is thirst quenching. Lemongrass is also a great base for mixing with other ingredients to create new and unique beverages. Mate produces a green infusion with a rich, fresh and slightly bitter flavor. Rich in Vitamin C, tannins, and caffeine, this traditional drink of Brazil and Argentina is proven to have many healthy properties. One of nature's best gifts! Peppermint, along with its other mint cousins, has been used by many traditional peoples to treat a wide variety of ailments. Peppermint has been proven to alleviate the symptoms of the common cold, flu, fevers, flatulence, nervous disorders, rheumatism and indigestion. It is antimicrobial and antiviral and has anti-inflammatory and anti-ulcer properties. This is an impressive list of benefits from one simple leaf that makes a naturally sweet and very enjoyable infusion. A well rounded mixture of fruit, flowers and berries with a strong berry flavor, Red Berries goes well with a bit of sugar and makes an exotic, refreshing iced tea. Red Berries is a good source of key vitamins and minerals and will help to halt the initial symptoms of a cold. Rooibos is made from the “red bush” plant found only in South Africa. The infusion has a similar character to a Ceylon tea yet has its own unique qualities. Rooibos contains no caffeine yet does have a high quantity of vitamins, minerals and an antioxidant agent and is often given to infants to soothe stomach discomfort. This is a vitalizing blend of Lemon Grass, Hibiscus, and Blue Mallow Blossoms with detoxifying properties. A full flavored yet light drink that goes well in hot weather due to its cooling effects. Our Ayurvedic inspired blends have been created to provide a product with an enjoyable flavor and a function our bodies will enjoy. While we have used some imported ingredients when a suitable item is not available locally, these are predominantly made using local herbs and spices. While striving to support the different Ayurvedic body types, we have placed enjoyable flavor as a primary goal to ensure these blends are not medicinal in flavor, but rather blends that can be enjoyed throughout the day. According to ancient Ayurvedic knowledge, Pitta body type needs cooling down; this unique blend of Chinese White tea, Coriander, Cardamom and Peppermint is designed to do just that. While cooling your internal heat, this blend will also cleanse your palate. But perhaps the best reason to enjoy a cup of Pitta is for its unique and refreshing flavor. This blend of Anise, Cardamom, Chamomile and Ginger is carefully blended to create an enjoyable flavor while also helping to warm and relax the digestive system. Although perfect for Vata body type, this infusion can easily be enjoyed by all. While based on hot and spicy ingredients, Kapha does not overwhelm the palate. This blend of warming elements of green tea, cinnamon, ginger, pepper and clove is designed to wake the systems of the body. While invigorating, this blend is also very approachable and enjoyable.